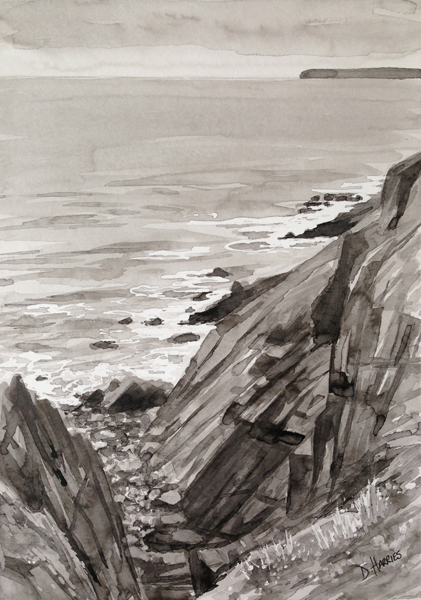 This is an ink study of the view from the Pembrokeshire Coastal Path at Manorbier. Indian Ink painting on watercolour paper 18.5x26cm. Sold unframed and delivered in a reinfordced envelope.